Hi! 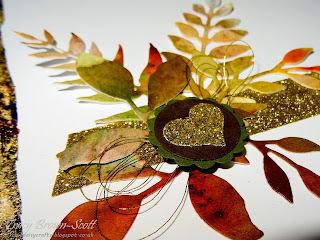 Taking some inspiration from the colours of autumn for this next card and trying out some different techniques with some old and new stash! Starting off with some Infusions coloured stains - a mix of 5 colours which I thought were kind of autumnal. 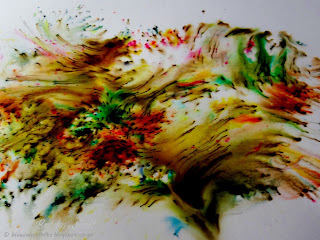 I used a make up sponge to spread a glazing medium over some mixed media cardstock (250gsm). Then dried it with a heat gun. I then spritzed with water and sprinkled the stains randomly. Spritzed again and then used the heat gun to dry and move the colours. This is before the heat gun.. I then used Tim Holtz Thinlits "Garden Greens" to cut some leaves from the random colours. Then I found this lurking at the back of a drawer.. Cosmic Shimmer Gilding Flakes. So out with the 2-way glue and some dabbing of the flakes with a hard paintbrush around the edge to give a gold frame. And a close up of the leaves. I love the randomness you can get with the stains and the walnut in each is so earthy. Stunning card. 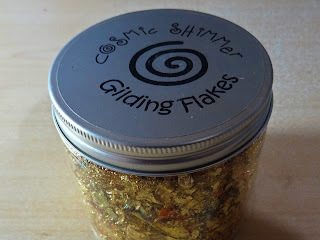 Love the effects you got and reminded me to dig out my gilding flakes! What a beautiful card Kevin. 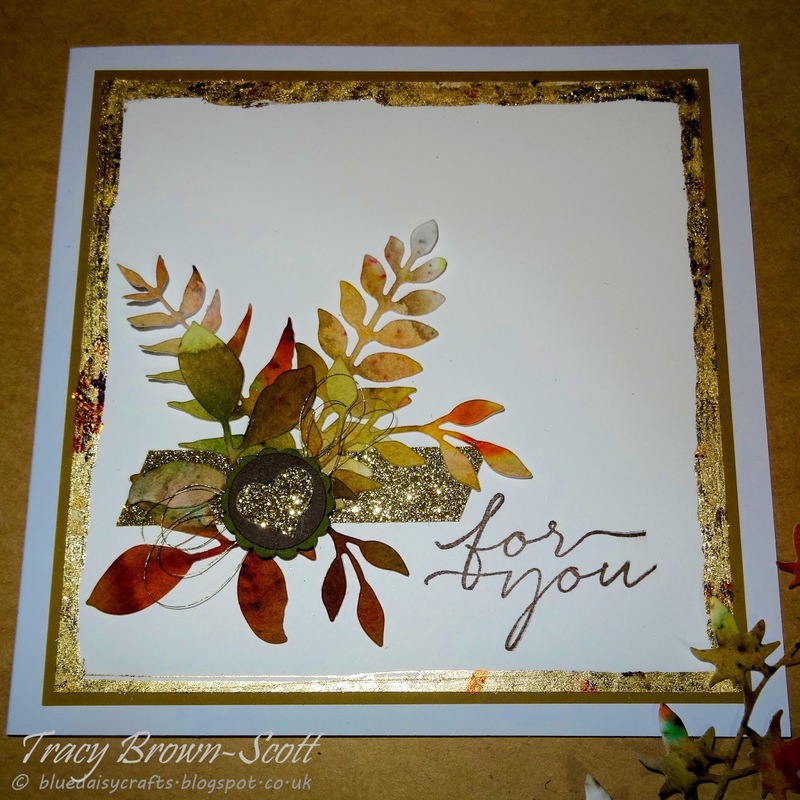 Thanks for joining us at Craft your passion challenges. This is absolutely gorgeous!! Thanks for joining in with us at Tuesday Throwdown! Wow this is fantastic. Love it all. Thank you so much for entering our ATG challenge at Through The Craft Room Door this week. Looking forward to see you again next challenge. Your Card is so stunning. Thanks for playing with us at Lemon Shortbread Challenge.